The LEC are a fantastically fun band. The local septet have been gracing regional stages for years, their bombastic live shows exemplifying party perfection. 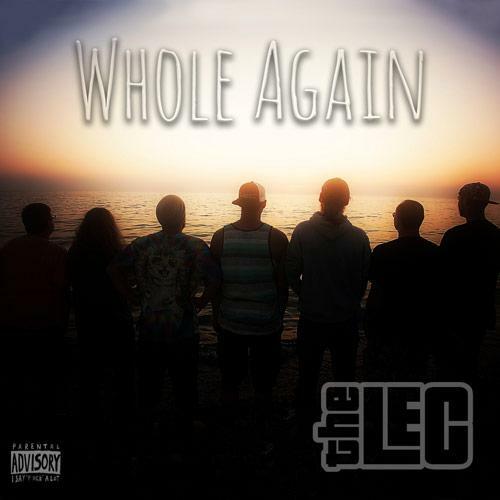 A strange yet familiar amalgamation of jam and hip hop, the band elicits good vibes with every track. Whole Again is their sophomore release, and the lineup has changed significantly since the five-piece that crafted 2014's self-titled album. The sound is more richly defined, the group forging a more comfortable synthesis than before. It's a feel-good sound, one at home on a summer day, shared by friends. The supremely charismatic Jonny Evans delivers rapid-fire rhythmic verses, serving as the de facto frontman and driving force behind the band, along with fellow emcee, the talented Tony Facchiano. Three tracks feature local favorite C.Brown, lending his trademark brilliance. Guitarist Dan Head provides the golden voice behind most of the album's hooks, as the band (comprised of bassist Kris Corona, guitarist Justin Tapper, keyboardist Adam Holquist, and drummer Chris Head) carves out many a heavy, luscious groove.